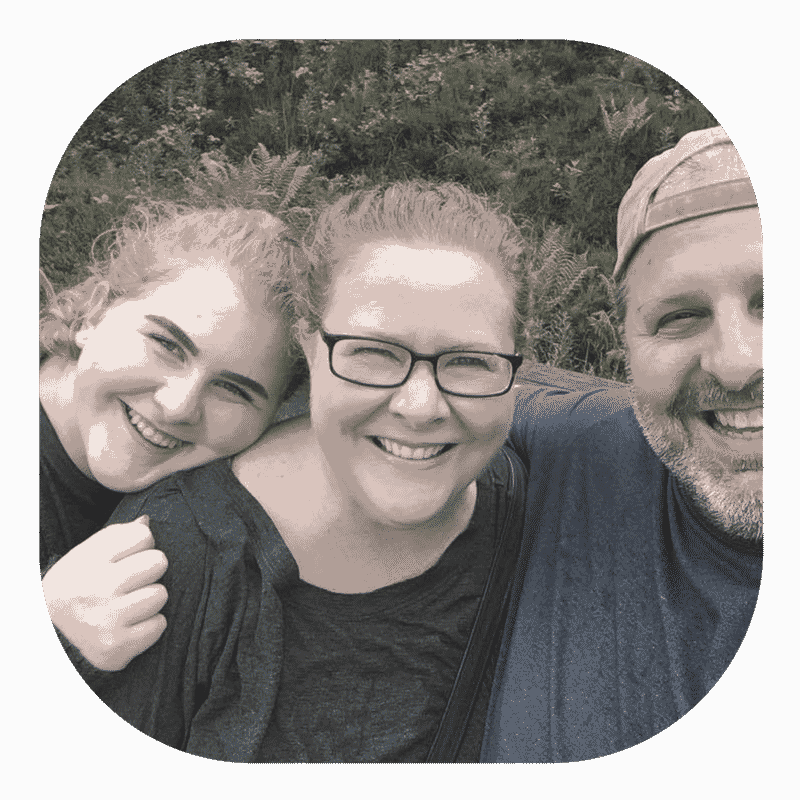 I’m very excited about this post! 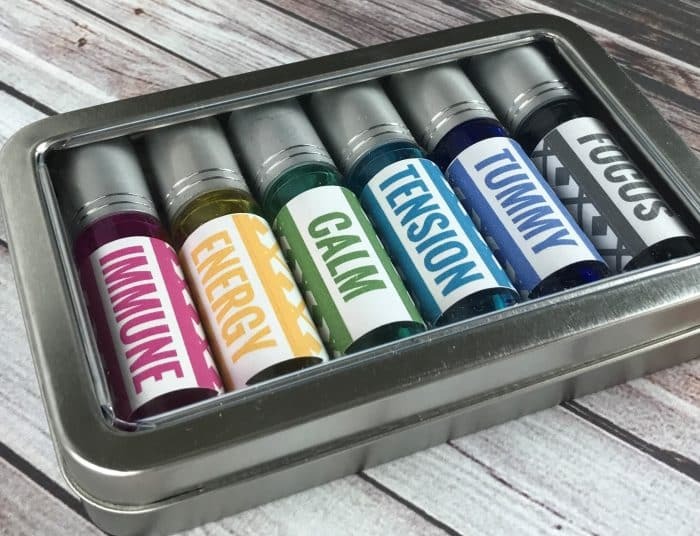 One of my favorite blog posts I’ve ever done is 21 roller bottle blends for emotions. 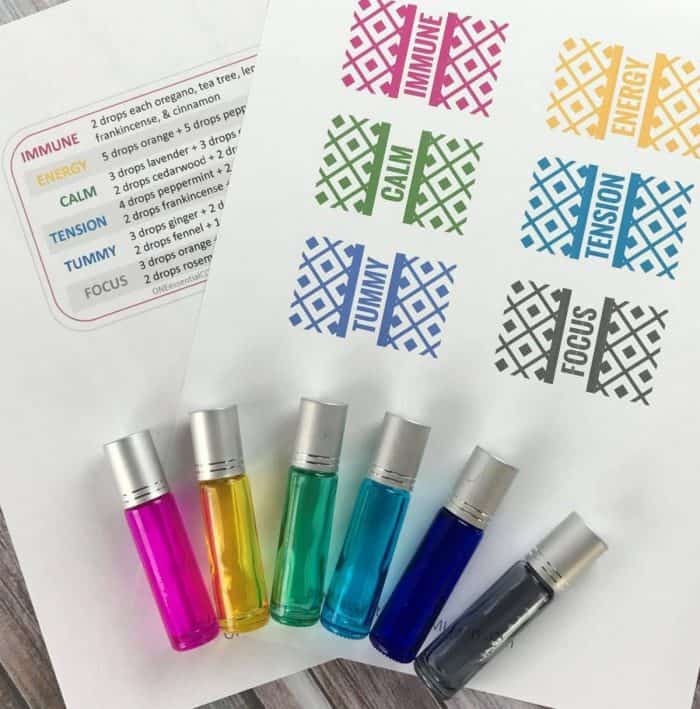 Not only are they many of my favorite roller bottle recipes, but the really exciting thing (for me at least) is that the free printable labels have the roller bottle recipe right on the label! Loved that! I no longer had to wonder what was in the bottle or try to track down a recipe when I wanted to refill the bottle. 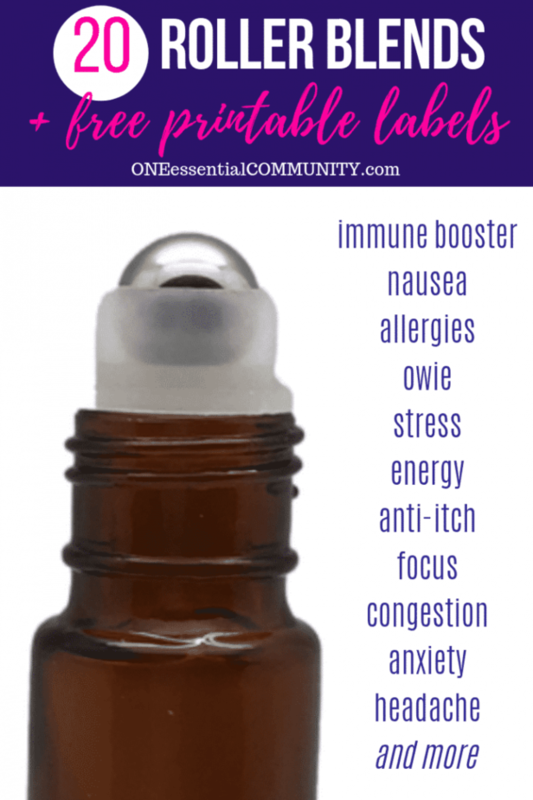 This post today has my top 6 must-have roller bottle recipes. These are the roller blends that I always have near me. I carry them in my purse and keep a second set by my bed. I’m never far away from these handy roller remedies. And the tin cases are not only portable, they keep the bottles nicely organized and serve as a convenient place to keep my recipes, too! 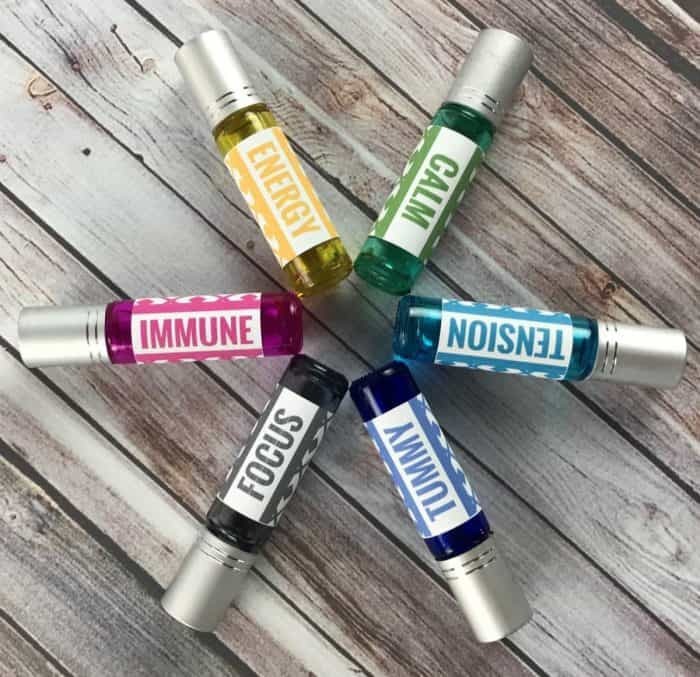 These are the 6 must-have roller bottles I always have with me. The recipes are below. 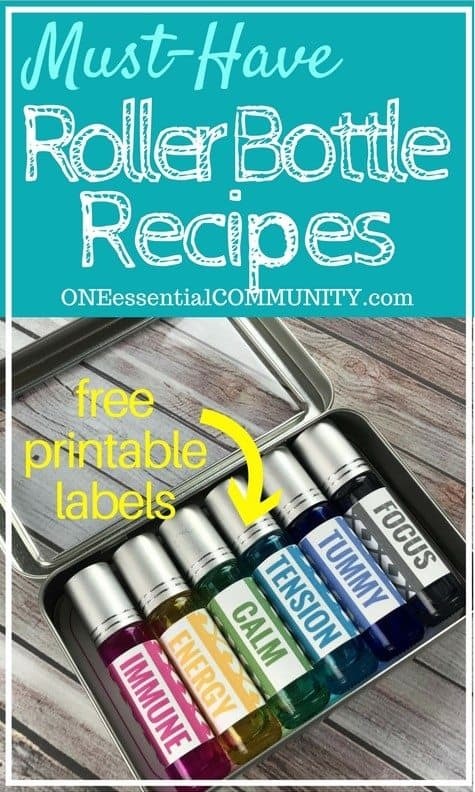 Plus, be sure to get the free printable roller bottle labels and recipe card. 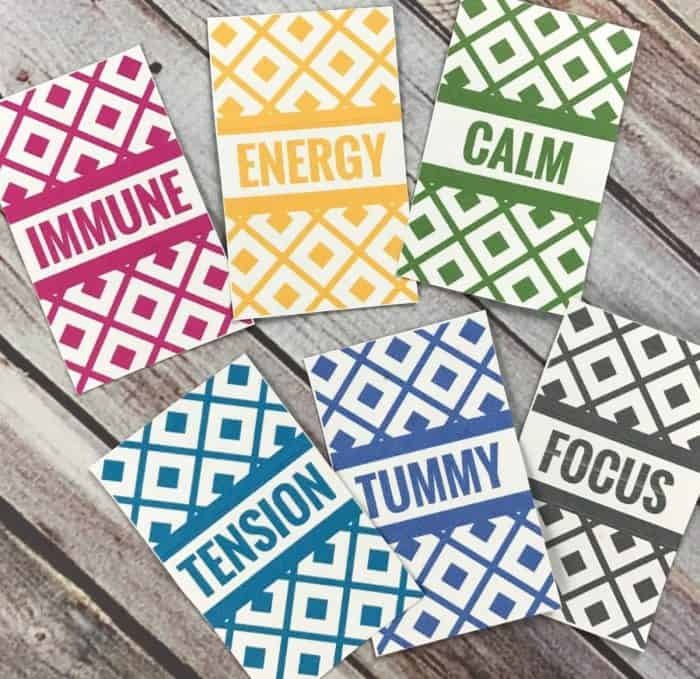 You can use them for yourself, share with your team, or as part of a make & take class. bottle – The bottle is made of glass and can be clear, amber, or in a wide range of rainbow colors. 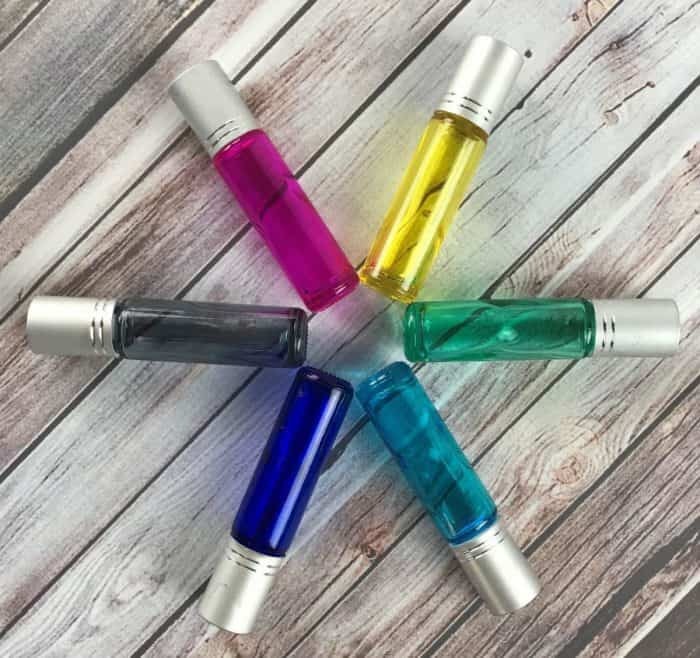 Using amber and UV-coated colored glass bottles is often preferable because essential oils degrade in sunlight. 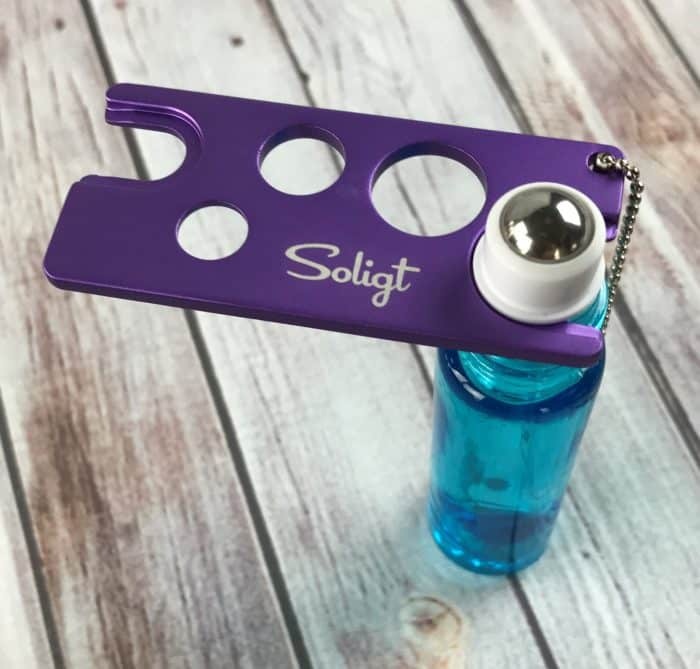 Even with a UV coating though, it’s best to store roller bottles in a cool, dark spot to help them last as long as possible. rollerball– Rollerballs can be made of glass, metal, or plastic. They nest inside of a plastic casing that snaps into the bottle. 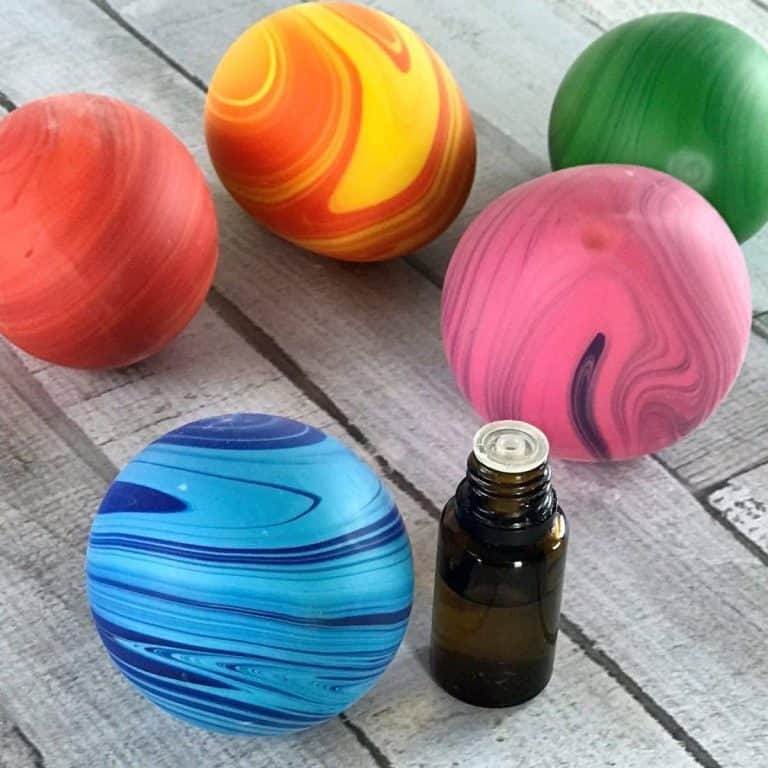 The glass/plastic/metal ball rotates around and gets coated in the oil/essential-oil blend and applies that mixture to the skin. cap– twists on over the rollerball. 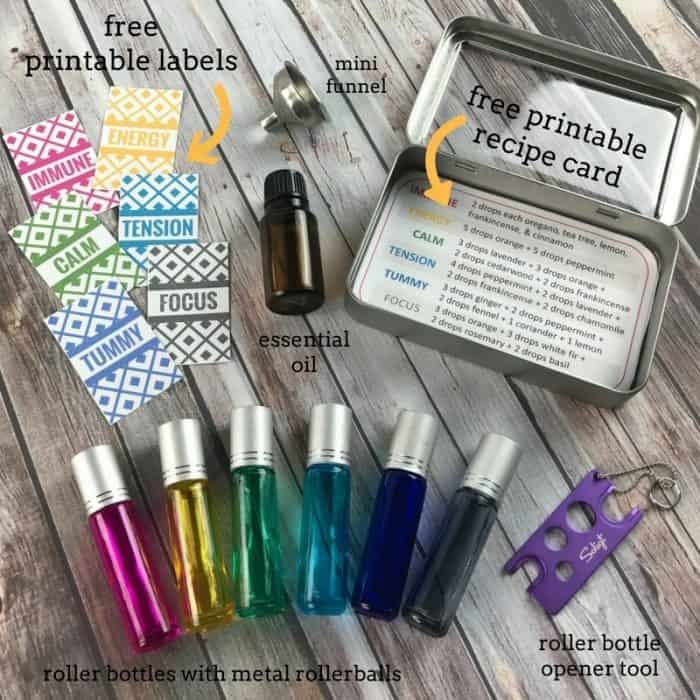 How to make roller bottles with essential oil? Tip: While you can pop off a rollerball using its cap or just with your fingers, it’s MUCH easier to use a handy tool like this. 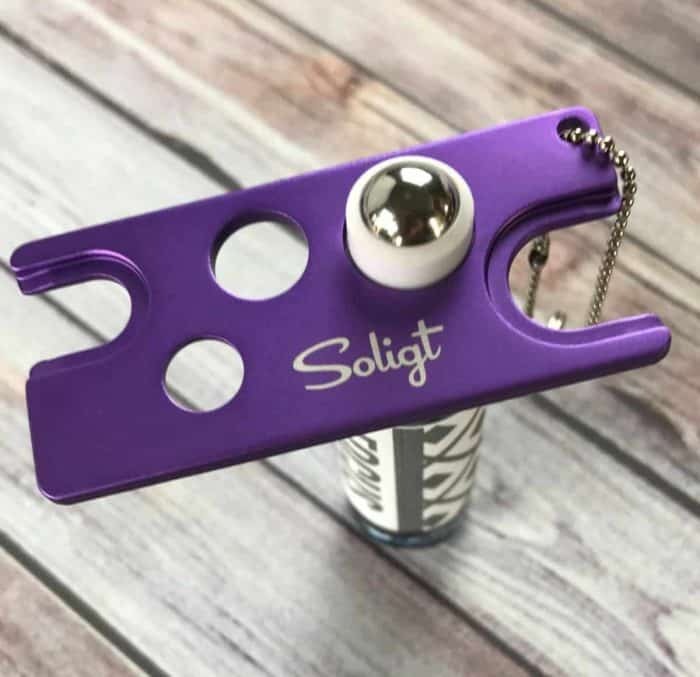 Slip the open-ended side of the tool underneath the rollerball (as shown in the photo below) and then push down gently on the other end of the tool. Pop, that’s it. The rollerball comes right off of the bottle. step 3: fill rest of 10 ml roller bottles with fractionated coconut oil (fc0). Fractionated coconut oil (fco) is also called liquid coconut oil. FCO is completely soluble with other oils, making it a great carrier oil. 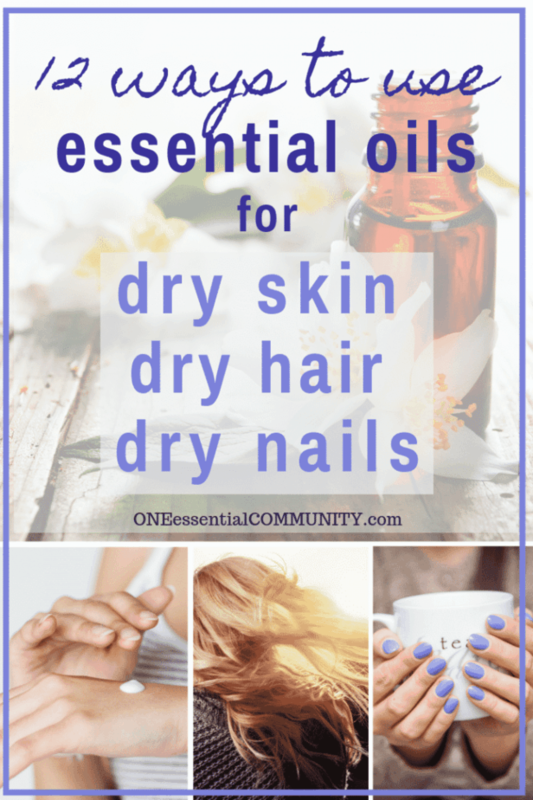 It’s odorless, colorless, extremely light, absorbs into the skin quickly, and has a very long shelf life. 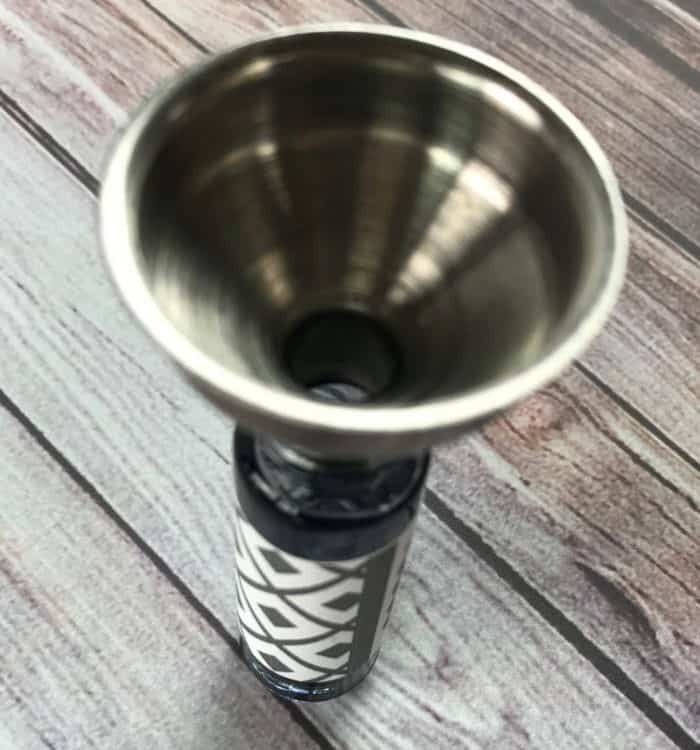 Tip: It’s helpful to use a little funnel when filling the roller bottles with carrier oils. Tip: Be sure to leave a little space at the top so that’s there’s room to put the roller ball back on. 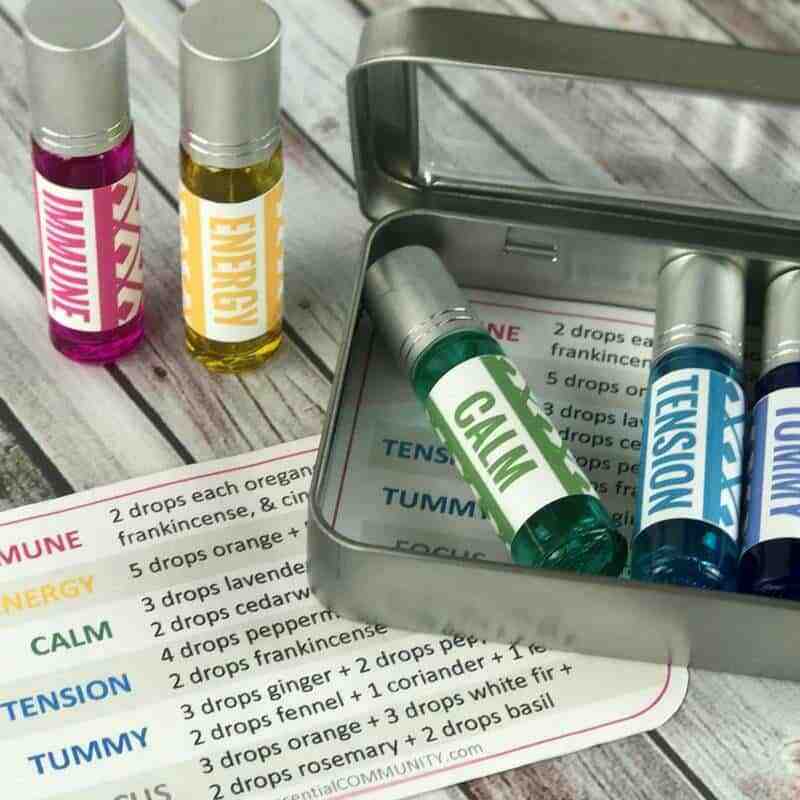 That essential oil tool comes in handy again. It’s not only great for taking OFF rollerballs, it’s also very helpful for snapping rollerballs back ON to the bottles. 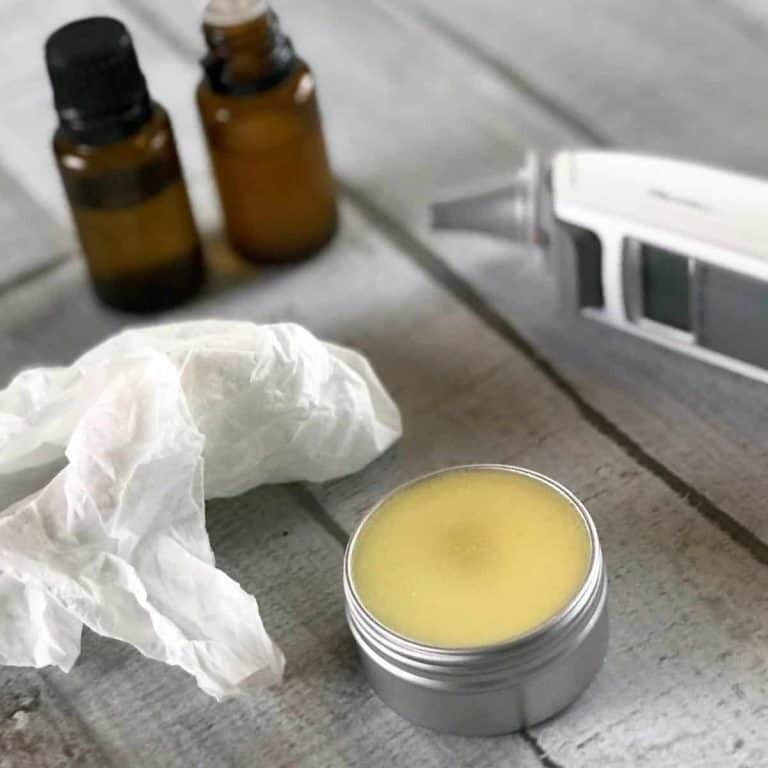 To put the rollerball on the bottle, put the medium-sized hole over the rollerball, and then press down gently on both ends of the tool until you feel it click securely into place. 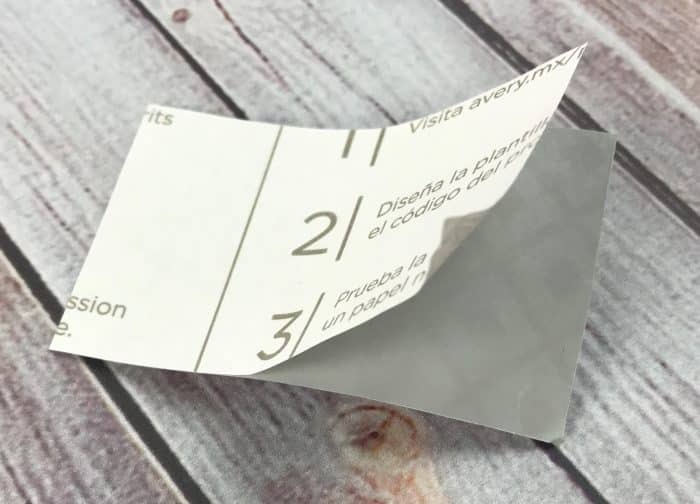 Pages 1& 2 are best to use if you’re printing a set for yourself – there’s 1 set of labels and 1 recipe card. Pages 3 & 4 are best to use if you’re printing sets for a make & take class or girls night with your friends. Those pages have two sets of labels and recipe cards in order to conserve paper. Print the roller bottle labels on full-sheet labels. Print the recipe card on plain copier/printer paper or cardstock. Tip: Make sure roller bottles are clean before sticking on labels. 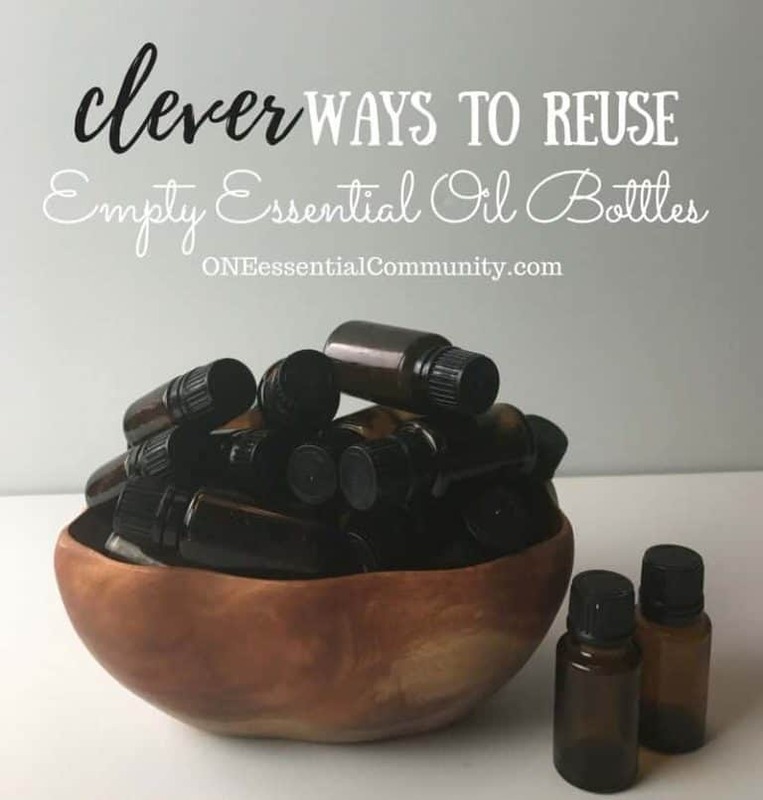 If needed, wipe the outside of roller bottles with rubbing alcohol to clean and dissolve any oils that may have gotten on the outside of the bottle. 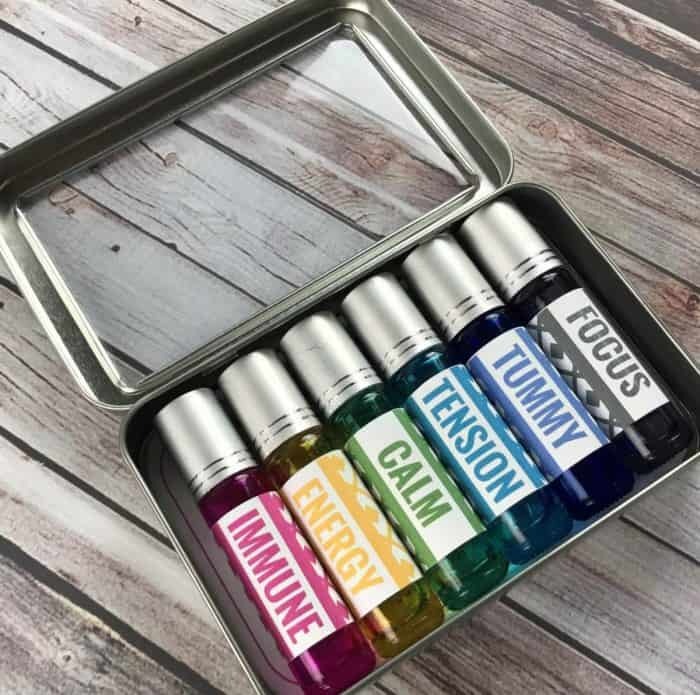 to use: Apply to pulse points behind ears and on wrists. 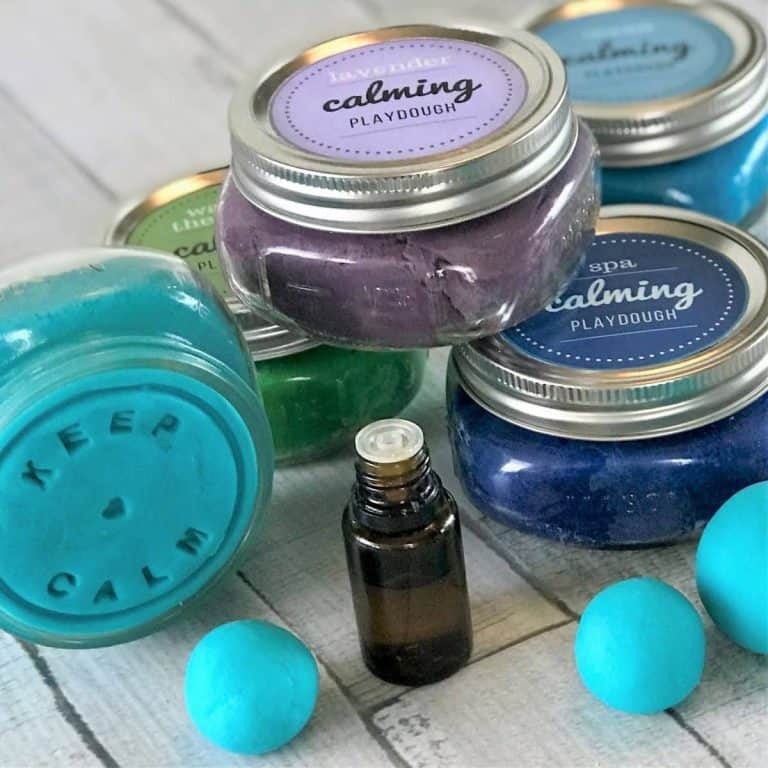 Rub wrists together and deeply inhale aroma, making an effort to breathe deeply and intentionally for several seconds. 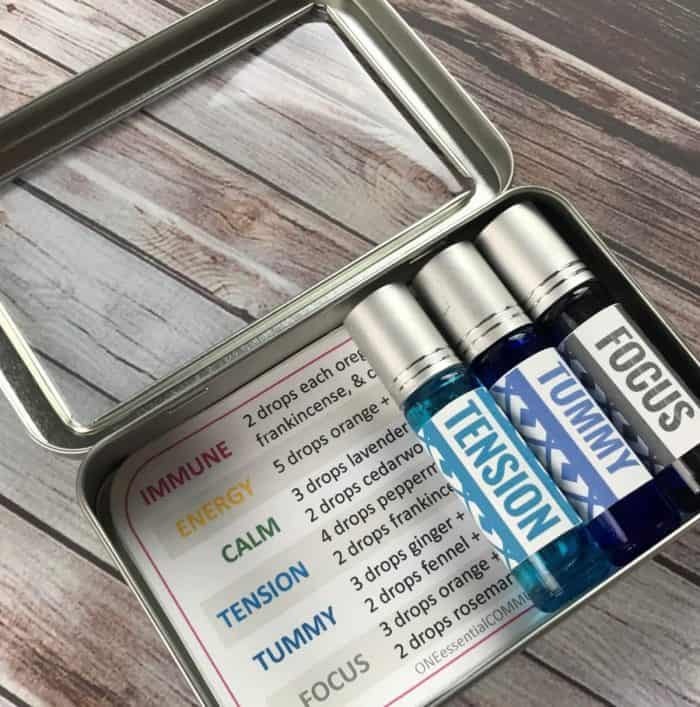 to use: Apply to pulse points behind ears and on wrists. rub wrists together and deeply inhale aroma, making an effort to breath deeply and intentionally for several seconds. to use: Roll on stomach and gently rub it in. to use: Apply over heart and to pulse points behind ears and on wrists. rub wrists together and deeply inhale aroma, making an effort to breath deeply and intentionally for several seconds.